- With great weather forecast for Friday I was thrilled to finally go on my first hike in the Adirondacks where I would be rewarded with phenomenal views. - My initial plan was to hike Wright, Algonquin, and Iroquois Peaks but I added Mount Marshall as well since the weather was so great and I ran into a group of three hikers also looking to summit Marshall. - The hike up to the spur trail over to Wright went smoothly and to make things better the lingering clouds were quickly disappearing. - As I made the short steep ascent over rock slabs up to Wright's Peak I emerged above treeline where I was hit with a pretty cold and fast wind forcing me to put on my fleece, hat, and gloves to stay warm. - Views from Wright were phenomenal as I could see a great deal of the High Peaks all around me. I stayed on the peak for about fifteen minutes taking in the views and exploring an old B-47 Bomber wreckage just below the summit. 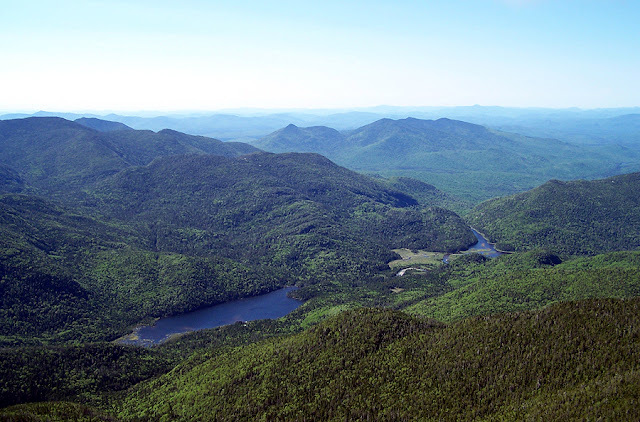 - The hike up to Algonquin peak was steep but dry so it went quickly and the views from Algonquin is one of the best in the ADK's as Mount Colden rises up like a huge dome with great slides directly below and the Great Range rises above everything else in the background. 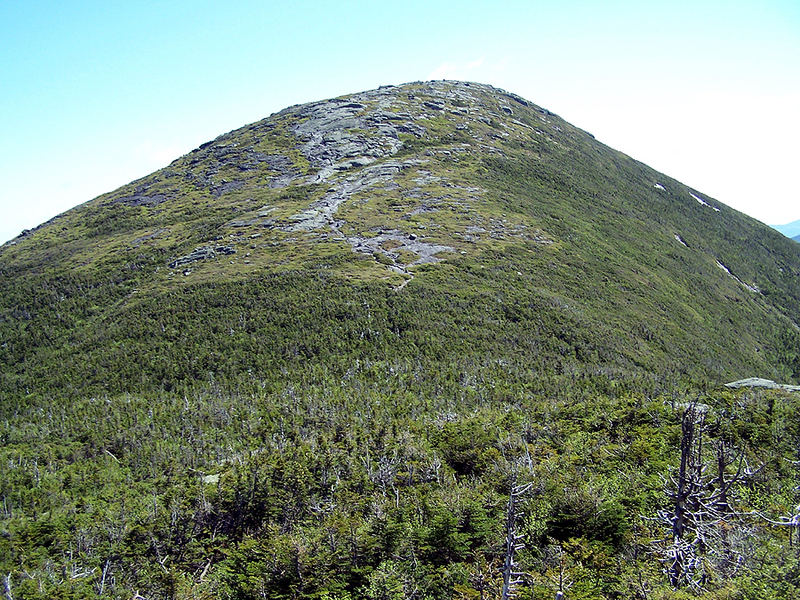 - The hike down to Iroquois Herd Path was above treeline with great views the whole way. Once on the herd path my pace slowed, the trail was a muddy wet mess with awful footing and you have to go over a semi annoying sub-peak call Boundary. After getting all muddied and tired I made it to Iroquois Peak which had more great views. - I headed back over Boundary and down to Lake Colden and over to the Colden Dam. I took a break at the dam and contemplated should I go back to the car or try and find the cairn marking the start to the trail of Mount Marshall. - I decided to go towards Marshall and within minutes I came across three guys who were also looking to hike Marshall but couldn't find the start to the path so I lead the way and found the cairn marking the start of the herd path. - The herd path is 1.5 miles and follows a brook for the first mile and then leaves the brook near small duck ponds and gains the summit of Marshall. The path starts off nice enough and even travels up the brook over open rock slabs but soon it becomes a rugged mess with blowdowns. At one point I lost the trail completely and had to back track where I ran into the group of three again. I decided to stick with them but we got lost and then luckily the son of one of the guys suggested we bushwhack back to the river at an angle. So we headed down about 150 feet or so over rotting blowdowns and thick trees and we hit the herdpath, the hike was saved! - From here the path was still a mess but easier to follow and the last section that branches off to the left is marked by a cairn and is easy to follow to the completely wooded no thrills summit of Mount Marshall. - The hike down went fast and I kept my eye out for where I made the initial wrong turn but never found it. - Once I got back to the Calamity Brook Trail I still had 6.5 miles or so back to the car and it wasn't all flat so it was a suffer-fest. 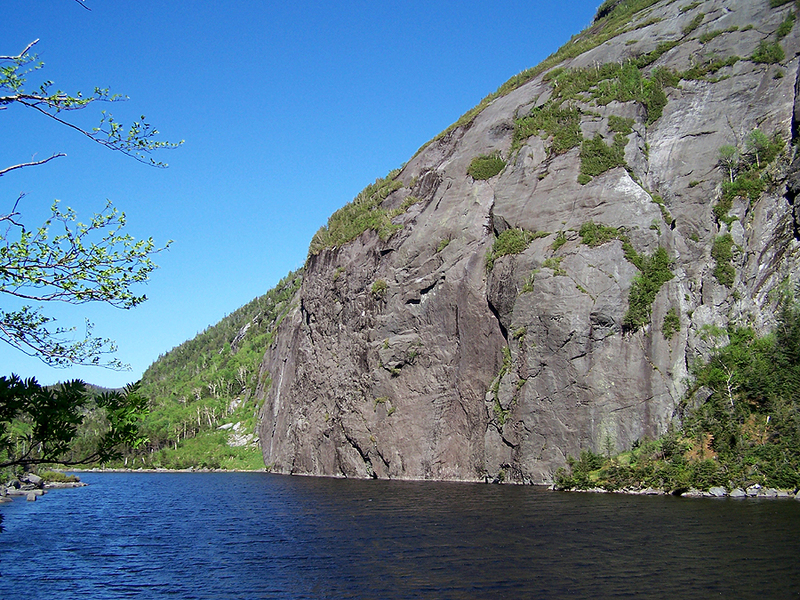 I did get to pass by the beautiful Lake Colden and Avalanche Lake where with Mount Colden rising strait out of the water. 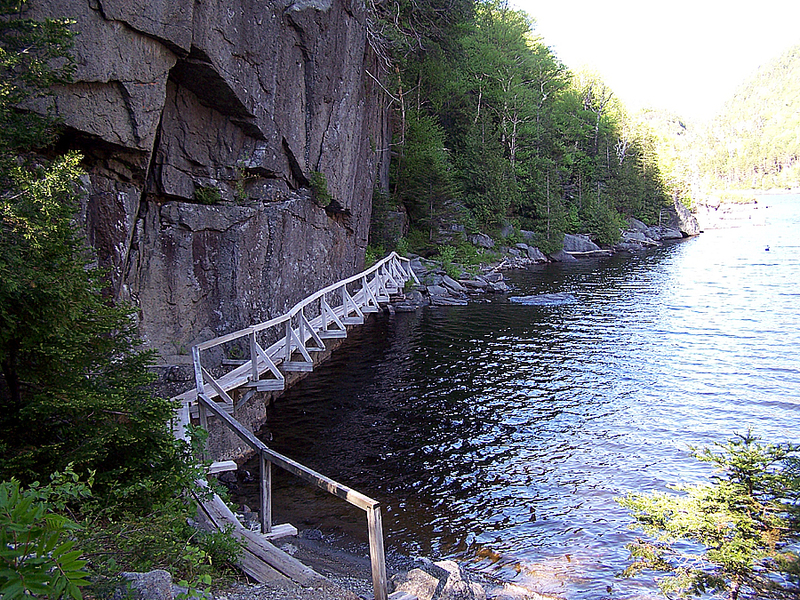 - One of the highlights of the hike out was walking on a bridge bolted into the side of a rock cliff which drops into the water, known as "Hitch-up Matilda". 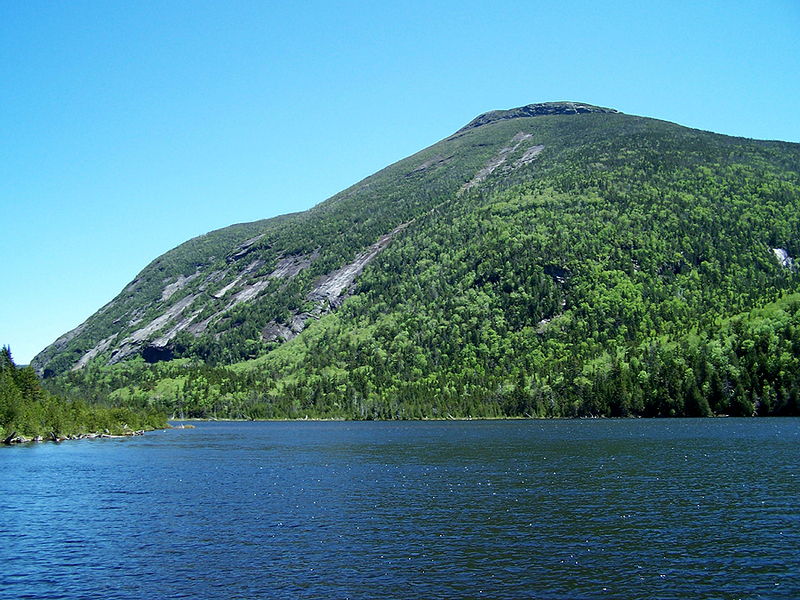 - After passing by the lakes it was really gut check time as the only break of hiking in the woods over rough footing was the view from Marcy Dam but even that was short lived as there were still two more miles back to the car. I finally made it back to the car at 5:30 about ten hours after I started, I was beat up, muddied up, and cut up but was thrilled to have had such a great day in the ADK's!